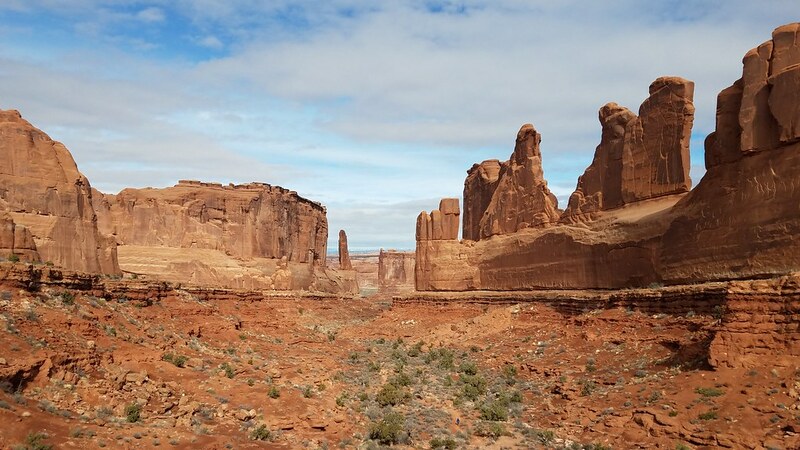 Arches National Park is located just outside of Moab, UT and is neighbors with Canyonlands National Park. This park is well named. 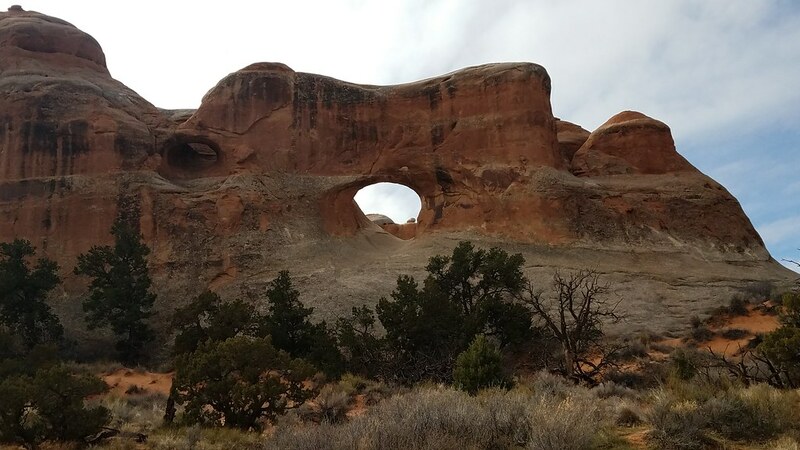 There are so many beautiful and different arches to see. The come in all different size and shapes too. 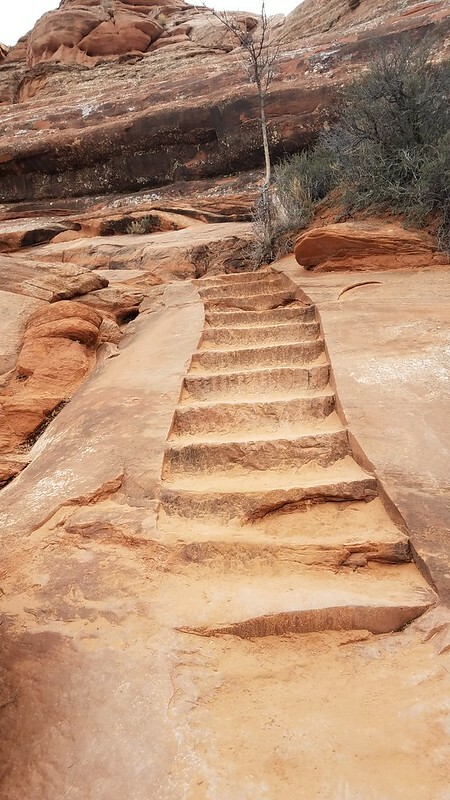 We did this Park after the South Canyonlands park. This park was much busier than Canyonlands. Which equaled lots of bored kids complaining about being there and more foreigners with selfie sticks. 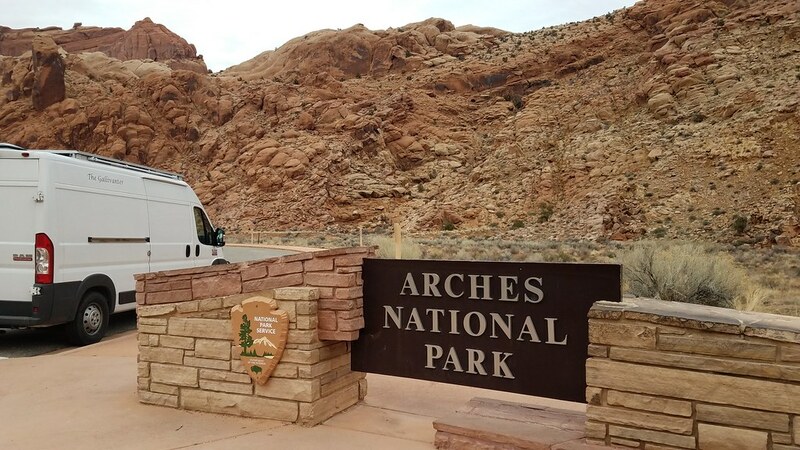 It was still pretty windy and cold when we went to Arches. This park had more variety of trail lengths though. James still didn’t feel good about his knee. 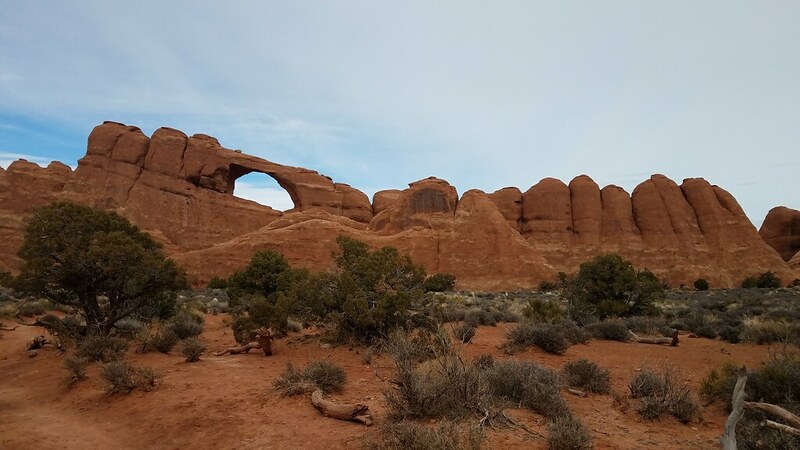 We did a few hikes together to some great arches. 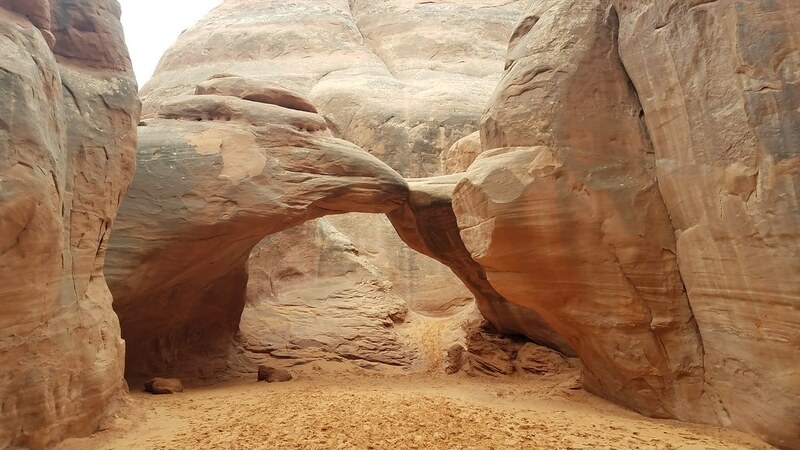 The Landscape Arch is one worth mentioning because in 1991 a huge piece of rock at the bottom part of the arch fell! There was a visitor who managed to catch a picture of it falling. Can you imagine being there when that happened? This trail had a really cool tree on the path also. We are suckers for pictures of interesting trees. 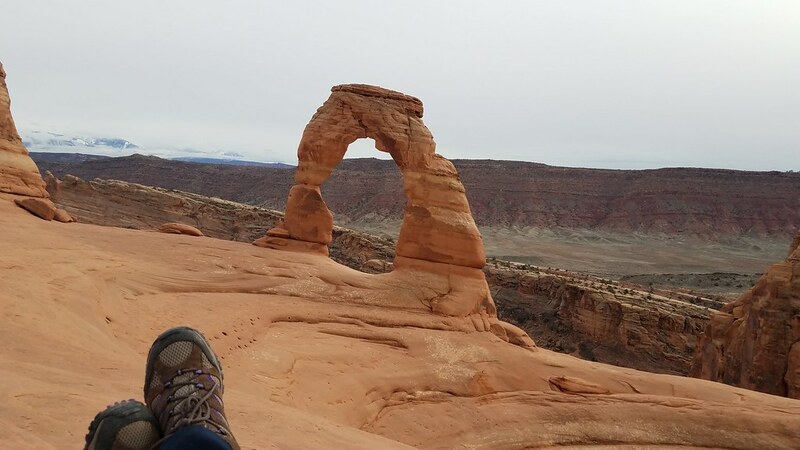 Before we ended the day I hiked to Delicate Arch. James stayed with Xander in the van to give his knee a rest. 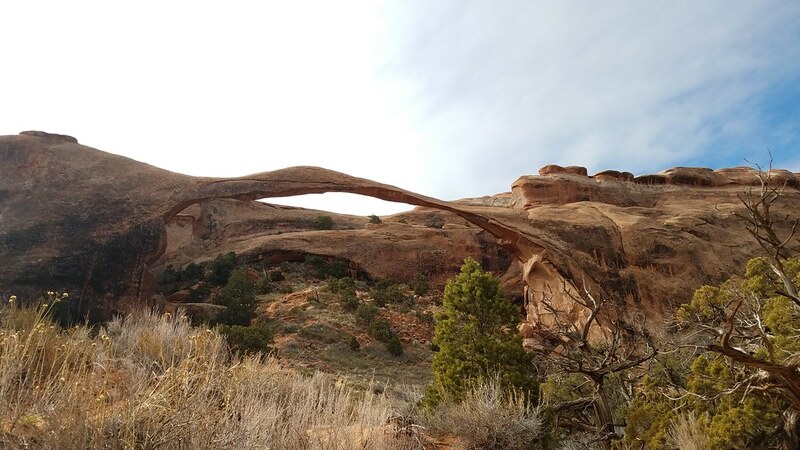 This hike was 3 miles round trip and 480 feet elevation gain, all on the way to the arch. The way back was all down hill. It seemed like it just went straight up the side of the mountain. It was all one giant slab of rock. It is crazy how a trail gets worn into the rock from all the people. The views up to the arch we spectacular. 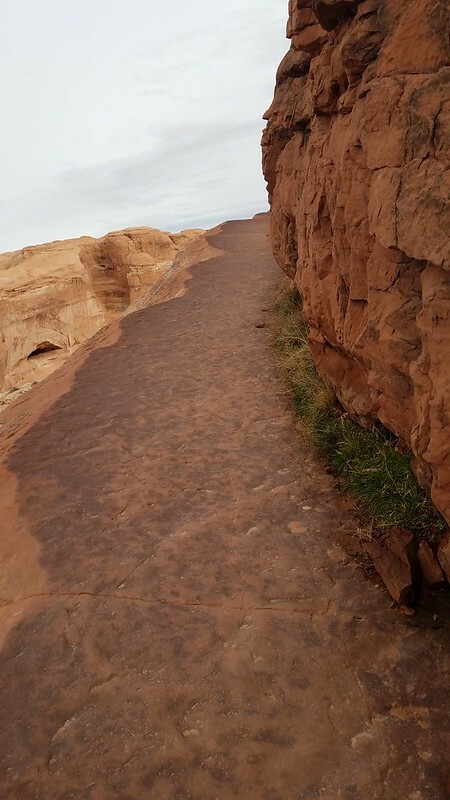 When you’re almost to the arch you walk on this path that they blasted out the side of the rock to make. It got my stomach turning a little bit. I don’t like being up on the edge of cliffs like that. It was totally worth it though. 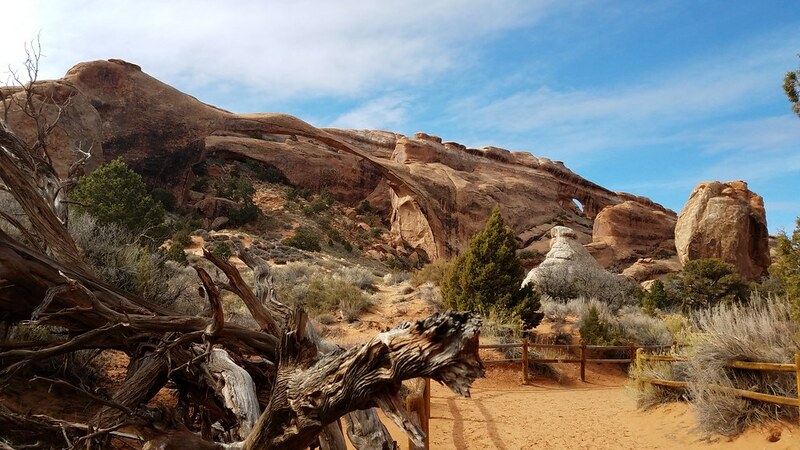 The Delicate Arch was like a piece of art work that had its own gallery dedicated to it. When you come around the corner, there it is standing tall all by itself with an amphitheater in front of it. 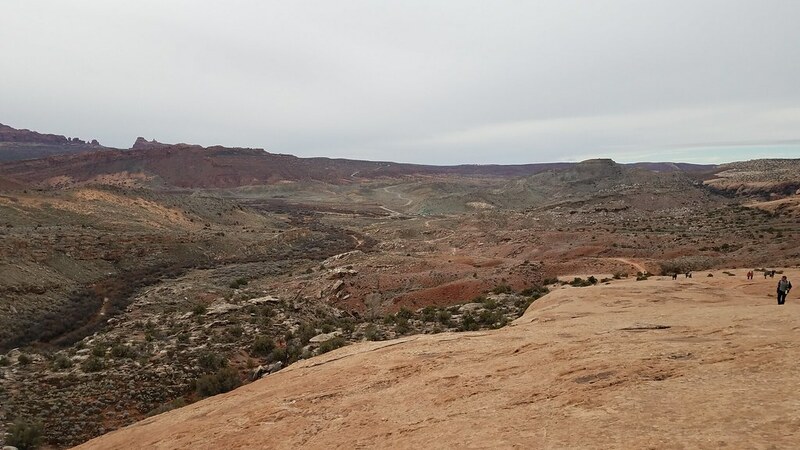 After Arches National Park we finished up Canyonlands then headed to Green River, UT. Talk about a dieing town. We had researched a landscape called Crystal Geyser, so we added it to our pit stops. It is near Green River. We found the route to get out to the geyser. 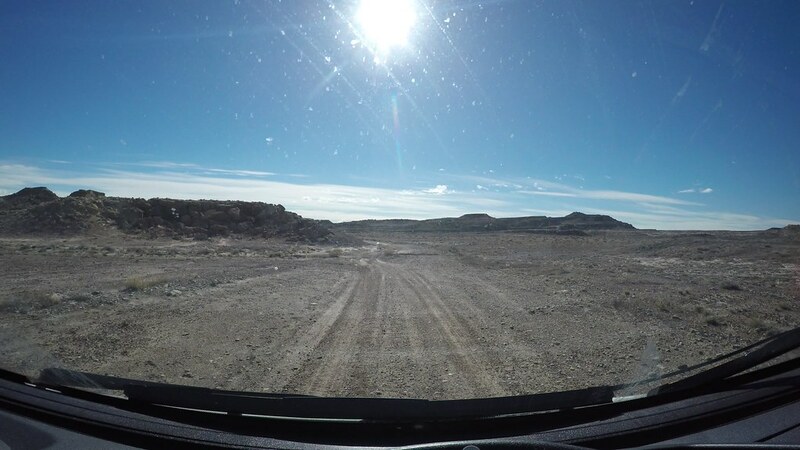 It was all dirt road. Well after a few wrong turns and almost getting stuck a couple times we decided it wasn’t meant to be. 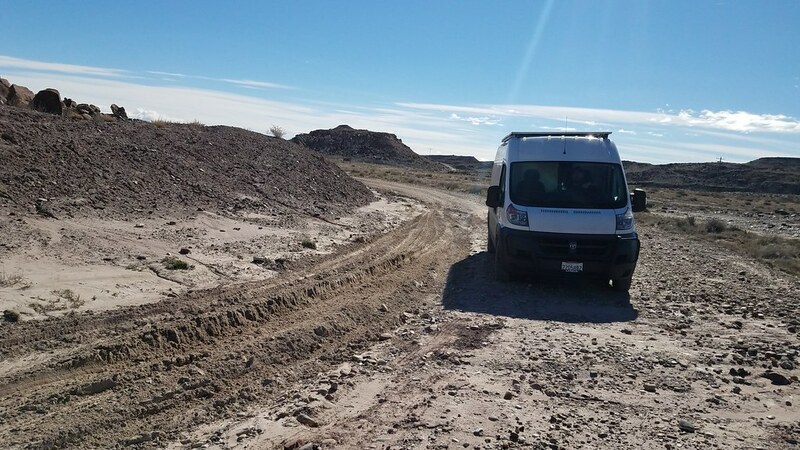 The van made some pretty impressive ruts in the super soft sand sections that crossed the road. I really don’t know how we didn’t get stuck. You could tell when you hit the sand because the van almost can to a complete stop. Finally the road just got to rocky for us to safely navigate. And a picture of where we almost got stuck. While we didn’t get to see the geyser (which who knows if it would have erupted when we were there), we had a blast trying to get there. This pit stop was about the journey not the destination! Its important to always remember that. Utah hasn’t let us down so far. Cant wait to see more of it. I like seeing your hikes like this one. I find it very interesting, and I like the pictures. James, you are too young for knee pain. Jeff likes to take pictures of interesting trees too. He is always looking for them when we hike.